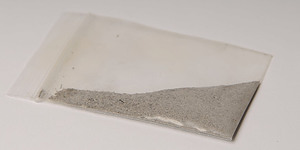 A small sachet of palm ash is designed to mark approximately 30-40 people. Small Sachet of Palm Ash is published by Charles Farris and is our 56th best seller. The ISBN for Small Sachet of Palm Ash is AP-01. Be the first to review Small Sachet of Palm Ash! Got a question? No problem! Just click here to ask us about Small Sachet of Palm Ash. I see that you sell black and grey ash and I wondered what the difference was? Does either of them have anything added?